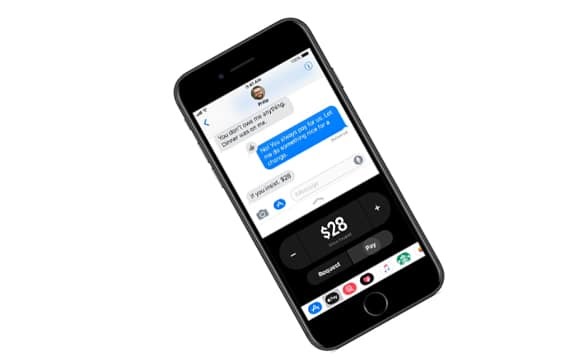 Apple Pay users across the US will soon be able to make peer-to-peer (P2P) money transfers to friends and family using a new feature set to be integrated into Apple’s iMessage platform through the latest iOS 11 operating system. The feature will also bring an Apple Pay Cash card account to the mobile payment service, which will enable users to make in-store purchases. “We love using Apple Pay to buy things at retail — in fact, Apple Pay is the number one contactless payment service on mobile devices and by the end of the year, it will be available in more than 50% of retailers here in the US,” Apple’s Craig Federighi told attendees during a keynote at the Apple Worldwide Developers Conference (WWDC). Apple Pay users will be able to make and receive payments within Messages or by telling Siri to pay someone using a credit or debit card they already have in their Apple Wallet. When users get paid, they receive the money in their Apple Pay Cash account. The P2P feature and Apple Pay Cash will only be available in the US at launch, Apple confirmed to Australian publication Junkee. It will be available on “iPhone SE, iPhone 6 and later, iPad Pro, iPad 5th generation, iPad Air 2, iPad Mini 3 and later and Apple Watch this spring”. Reports that Apple would be launching a P2P service along with its own debit card through Apple Pay first surfaced in April this year. At WWDC this week, Apple also announced that it will be adding support for NFC tag reading to the iPhone 7 and iPhone 7 Plus devices through iOS 11. Support for NFC tag reading is also being added to the Apple Watch with the release of watchOS 4.